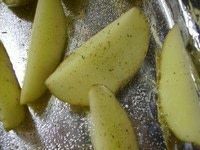 My boyfriend wanted potato wedges and we came up with these!! They are very easy to make and really delicious. I'm putting forty minutes for the prep time and everything. I would love to see any versions!! First gather up everything you need. I like to do this when cooking so everything is within my reach. 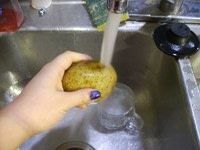 Now, wash your potatoes. 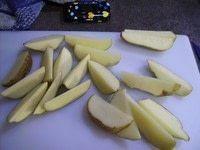 I always do this whether I'm peeling them or not. In this case I'm not. 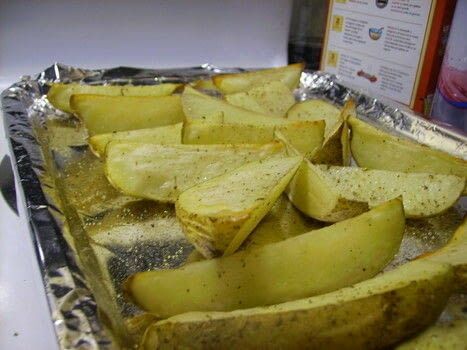 Slice the potatoes into wedges. 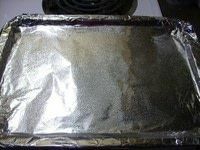 Get a baking sheet and line it with foil then spray with cooking spray. Put the slices on the tray. Now we are going to put some oil on them. I used vegetable oil. If you have a basting brush use it! But I do not. So, I just poured the oil into the cap, dipped my finger in it and rubbed it on the slices. Now, season them however you want. 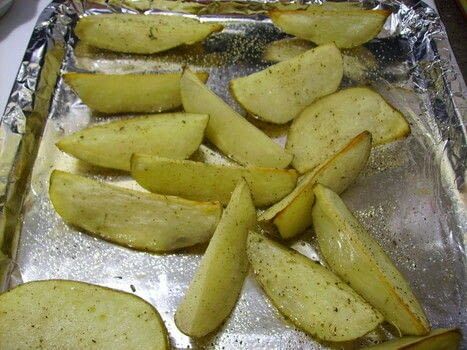 I used salt and pepper and a little bit of an Italian herb mix I have. 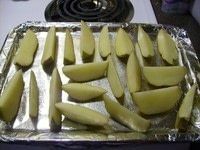 Bake for 25 minutes at 425. 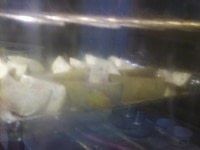 Let them cool and then eat them!! Enjoy! !